Let's start our tour right in the biggest shopping district of Bangkok, Siam. Walk around and explore some Fairy or Dragon Pokemons here. We can dos one shoppings a bit here too. Visit the most significant landmarks of Bangkok; Grand Palace, Temple of Emerald Buddha, and Sanam Luang park, etc. We will inspect the area for some rare Pokemons here. Then, we travel to Chinatown to reach another Pokestop; grab some local snacks, observe the area, catch some local Pokemons. After you have refilled our energy (and tummy), we will head over to Chao Phraya riverside for some water Pokemons. Let's battle at a local Gym while watching the sunset by the river. Catch some ghost and Psych Pokemons before we head back to our meeting point. 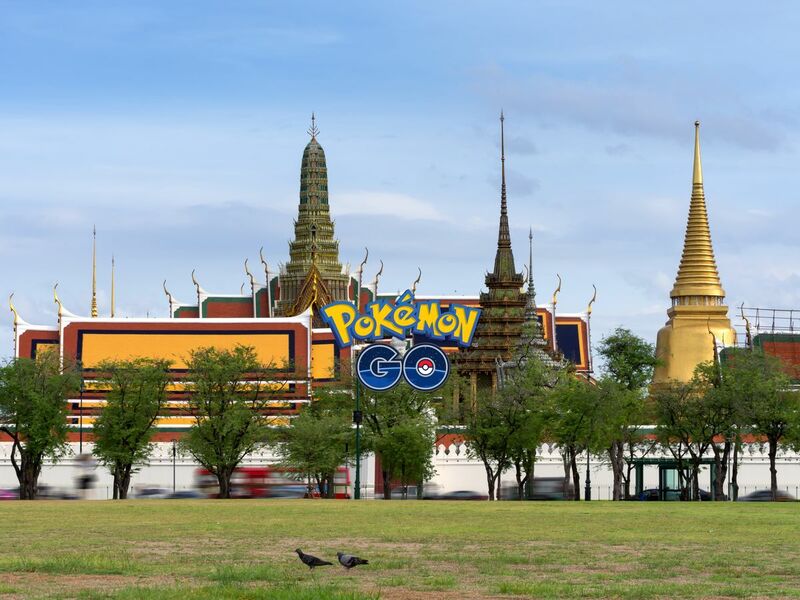 Exploring Bangkok and its way of life while catching local Pokemons in a day to complete the most out of your Pokedesk. Sounds fun already! The places I'm going to take you to are both local and famous among Thai folks. But, I'll make sure to take you to certain places that have certain types of Pokemons. We know we might catch some rare Pokemon while walking around Chinatown, right? This guide is really very good! Choose him! Wise choice! First of all we get started! Just began to have friendly feeling to see a good tour guide! A sample is like a Chinese! At first thought is apart from the department of Chinese! Is a little handsome boy oh! Go up about some knowledge distance I know speak Chinese! From knowing only speak Thai and English! F I add with distance WeChat! Call from to use WeChat communication with me! There are translation on WeChat! Others very good! First of all we speak the point! From the stand to take me to the first! Is shopping! Shopping over there have a lot of delicious! We eat with a good famous powder! Good taste! Food with a lot of Thai snacks! Looking for things. Then distance to take me to the next stop is the temple! The temple good big very big! How many hours should we go with go! From the call with a photographer to come and help us photos! The shadow after you I feel very tired after the meal! I just from the known to the hotel! I really is too tired! There are several attractions not line! This guide is really very good! Choose him! Wise choice!